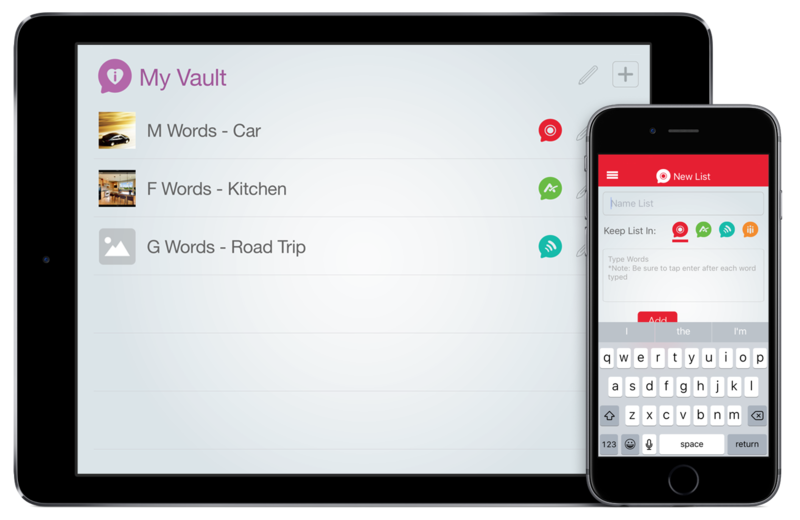 We strive to make Word Vault the best app you've ever used, but we're not perfect. The following videos and answers from questions we've received will help you get the most from Word Vault. Use the quick search section below or scroll to find the answers to your questions. If you can't find an answer or have an edit, please contact us using one of the forms at the bottom. Will Word Vault work on Android, Windows, Kindle, Nook, or other types of phones and tablets? 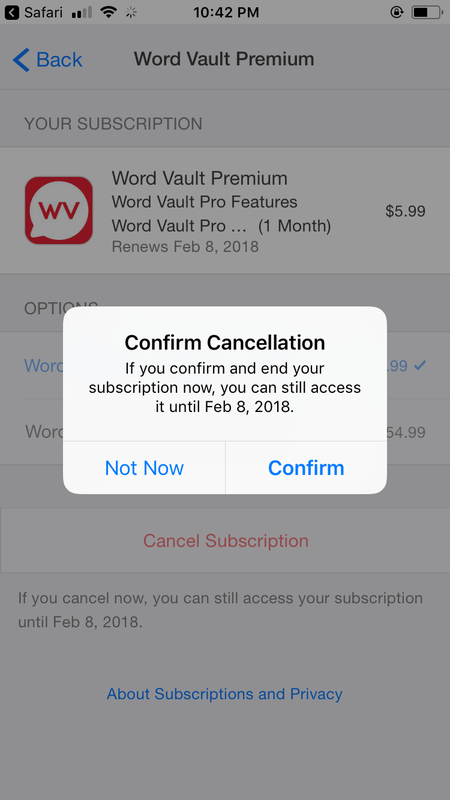 No, Word Vault is only available on the Apple App Store for Apple Devices. We will do our best to get it out on other platforms in the future. 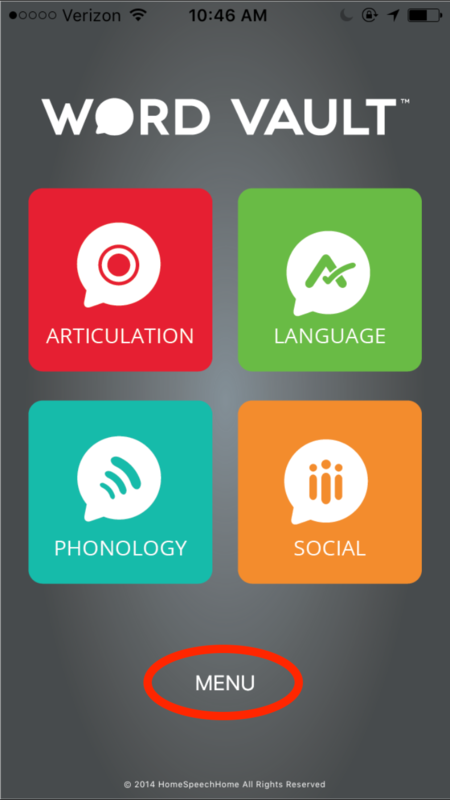 You can access most of the content contained in the app from our Word List pages. I bought Pro features but didn't mean to, how can I get a refund? To get a refund on any of our apps, please visit this page for Apple Support and follow the instructions. Please understand that I have no control over issuing refunds. Apple handles everything on their end for accounting, security, and distribution purposes. I purchased Word Vault Pro last year, but it did not download on my new iPad. My old iPad was not useable to check for the app. Is there any way you can check that for me in your records? Unfortunately, I have no idea who has bought our apps because that all happens on Apple’s end. If you are able to sign in with the same Apple ID on your current device that you used on the other device, do that. Then go to the App Store App and search for Word Vault Pro. If you see the cloud/download button, simply tap that and it will download again. I am using Word Vault on 2 iPads. Is it possible to sync across devices (i.e. get edits I make on one iPad show on the other one)? 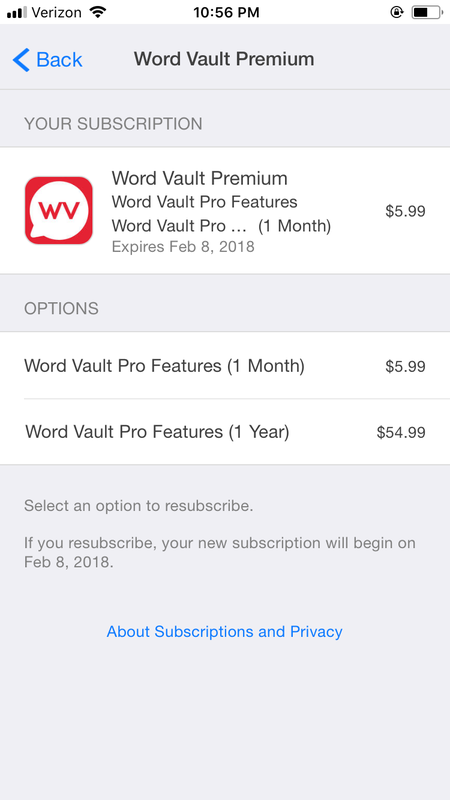 If you are a monthly or yearly subscriber of Word Vault Essential you can download the app and sync your account between devices (iPhone and iPad) if using the same Apple ID and Word Vault Login. No, it is not possible to sync information between devices. The technology to do so is definitely available but can be on the expensive side. It is something we are considering doing in the future depending on the cost. I had an iPad for work and had bought this app. Unfortunately, the iPad broke and I have just replaced it. Do I need to buy it again? You shouldn’t have to buy it again if you are able to use the same Apple ID with the new device. All of your purchases are tied to your Apple ID regardless of what device they are on. In other words, if you are using the same Apple ID with the new device that you used on the old one, tap on the Apple App Store app, and run a search for Word Vault Pro, in there should be a cloud/download button you can tap to reinstall in on your current device. If you didn’t own the device or had an employer generated Apple ID through your previous employer and are unable to use that ID, you will have to buy the App again. Is it possible to upgrade to Pro features for specific sections? In order to maintain and improve Word Vault, the option to upgrade Pro features for specific sections in the app is no longer available. It is now possible to try Pro features of the app free for 30 days and pay a small subscription after to continue using them. Yes. It is possible to purchase Pro features for any Articulation Sound or for the Language, Phonology, or Social Vault. If you tap on the audio or data tracking buttons at the bottom right or left side of the screen on iPad or at the bottom of the screen on iPhone in the Green Language Vault it will bring up the sales screen. 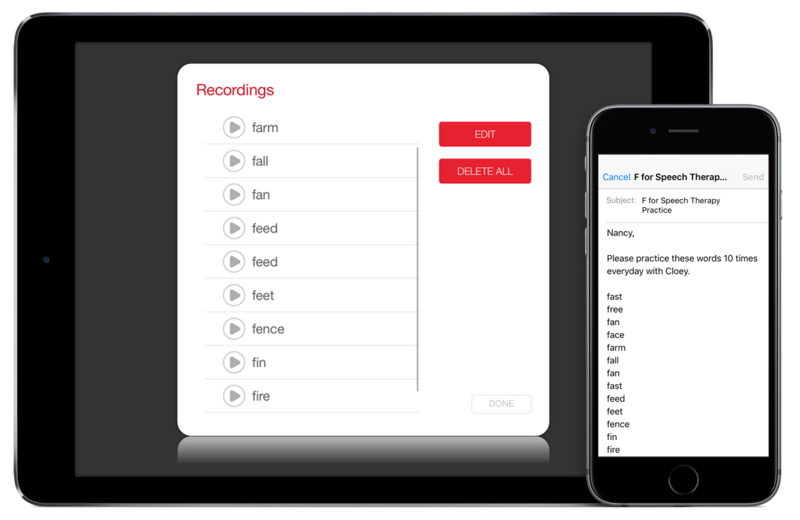 On the screen you can have the option of buying Pro features for the Sound you are on or the Vault you are in only, or buying Word Vault Pro, which of course, has Pro features for the entire app. I paid for the an upgrade on my iPhone but I didn't get the upgrade on my iPad. Does this mean I have to buy everything twice? No. To get paid features on both devices go into settings in the menu on the device you want paid features on, and tap "Restore Purchases". That will make paid features work on any device that your Apple ID is associated with. How do I cancel my free subscription? To cancel your 30-day subscription of Word Vault Essential follow these steps and/or see images below. *Note: Some of our customers have had trouble doing this on their iPad and received error messages, but were able to cancel following these steps on their iPhone. You can turn your subscription back on at any time. To do so follow these steps and/or see the images below. When in a section, I see the data tracker buttons for when the student is correct or not. What if I push the wrong button? How can I fix my mistake right away so the score stays accurate? At the moment there isn’t a way to “fix” the score if you accidentally tap the wrong button. We have received some feedback about this in the past and are considering increasing the size of the buttons, so watch for that in the future. To fix the problem, I suggest starting over. Go into that student’s profile and delete the individual data point that you messed up on and start again. How do I backup profiles, data, and recordings? To back up all data with Word Vault Pro features, simply connect your Apple device to your computer and sync it with iTunes, the same way you back up apps, music, video, etc. Can you download pictures to items that you create in your own Vault? No, you cannot add pictures to items in My Vault at this time. This is something we're looking into doing for a future update though so stay tuned. When you create a new list, is there a way to add a picture for each item? At the moment you can’t add pictures to a list you create, however there is a work around to this. 1. Make you list of words (i.e. snickers, butterfingers, baby ruth) that don’t have an image tied to them in the app. 2. Go into an existing list you don’t use often and add each of these words into the list and take a picture of them (i.e. B words) or you could alphabetize each word in the Articulation Vault (it’s up to you). 3. Go to My Vault and create the same list of words. Name it, tap done, then tap the list you just created to use it. 4. When you tap each word it will display the word by itself, then swipe the arrow on the top down to reveal the image for that word. On the Word Vault Pro App, when I press the edit marker and select edit list, it does not give me the opportunity to edit or delete words. I have ensured that the app has been updated and the iPad version is up to date. You can only add or delete words that you have added/created yourself. You cannot delete the words that come on the app, those are the default words that are built into the app. No questions asked yet, ask the first by filling out the form below. I bought Word Vault Pro and cannot access pictures or audio. It looks just like the free version which I already have. 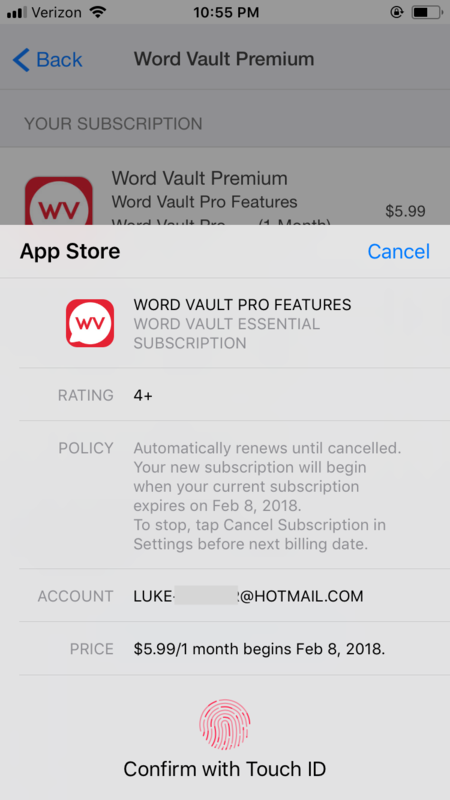 When you make an in-app purchase nothing changes on the app, it unlocks Pro features for you to use within the app (see the section "What do I Get with Word Vault Pro" above). Be sure to watch the Navigation and Views Tutorial video above. Pictures can be accessed by tapping a word in list view which then takes you into single stimuli view. Once there swipe the arrow down to reveal pictures. The pictures do not sort by syllables, i.e., if you click on chocolate, bat shows up, accurate, bat shows up. Why is that? There is only 1 set (typically 20) of pictures for initial, medial, and final words for every sound. 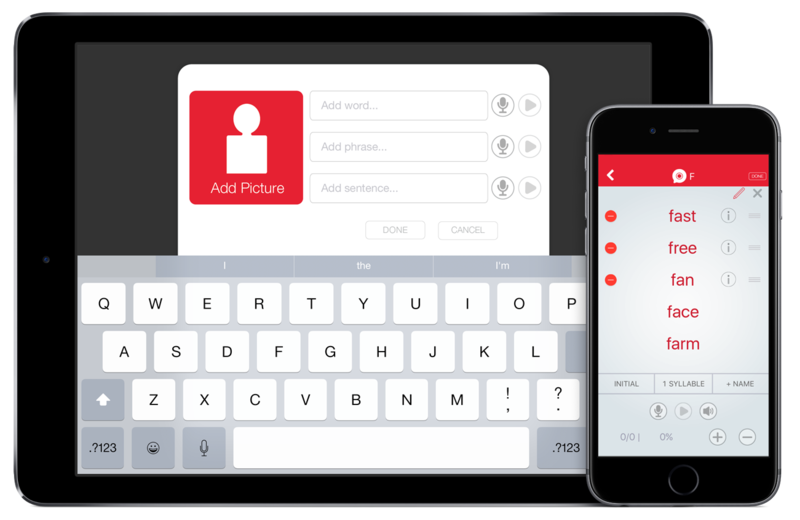 If we had pictures for every single word you would run out of space on your device before you could download them all, we had to be selective in using the most functional words for each sound and position. Additionally, it would be almost impossible to think of pictures for all of the words within the app. And if we were able to think of pictures that we could use for those words, it doesn’t mean that would find them; for example, what image would you use for the word generalize, affiliation, discriminate, or deteriorate, and the list goes on. It took us 9 months to find the 1800+ images that exist in the app right now. When I use the voice recorder it doesn't play back. Go into settings, scroll down to Word Vault Pro and tap on it. Be sure you allow Word Vault Pro to access your microphone. I am having trouble getting the pictures to come up. It says "Downloading..." when I swipe the screen but then that goes away. I have also tried to upload a photo and it is stuck downloading. All photos and audio automatically download in the background for an entire sound or section when you start trying to use them. The pictures and audio download from our servers over wi-fi or phone connection. you must be connected to the internet to download pictures and audio from our servers. If you’re not connected, even temporarily it can disrupt this process. Download time is dependent upon the internet speed you are downloading the content through (wi-fi is best and doesn't use data from your phone plan). The content for each sound or section is different (i.e. some have more pictures and recordings than others). The more content, the longer it takes to download it all. Downloading content may be slow if you have a slow internet connection. 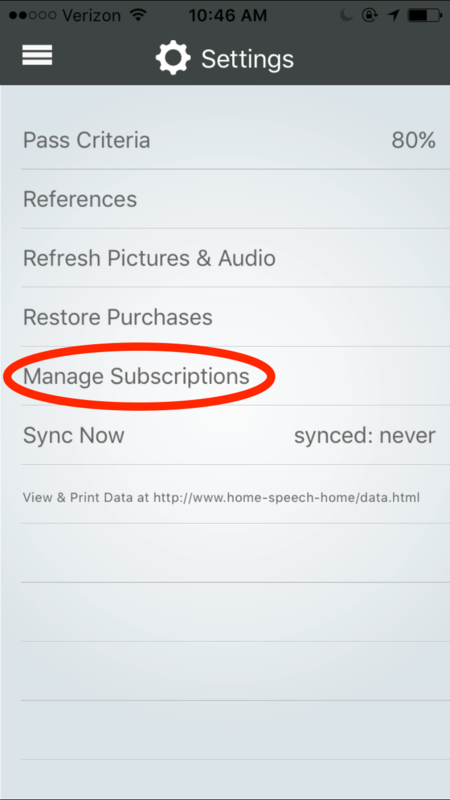 Once you have downloaded content for a sound or section it stays on your device so you don't have to do it again. If you know you tried to download content w/o an internet connection or if the screen that says "Downloading...", hard close the app by double clicking the home button and swiping it up. This is like resetting the app. 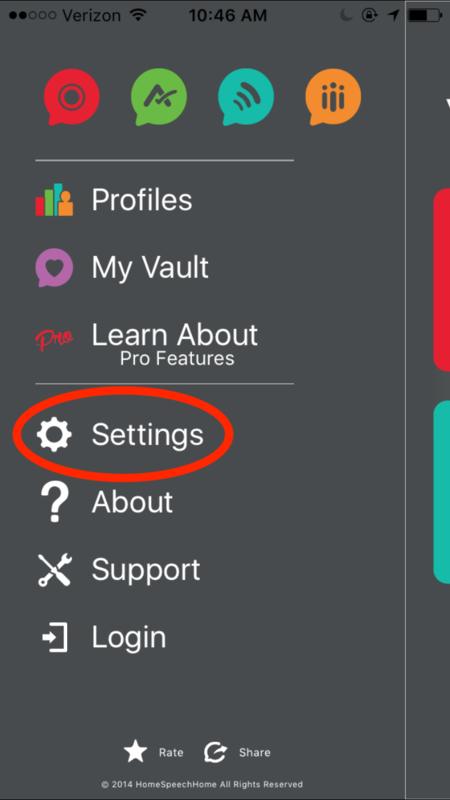 Then make sure you are connected to the internet (or talk to your IT guys to have our website added to a safe list) and go back into the app and open up the section(s) that is displaying the "Downloading..." text. They should be downloaded within seconds depending on your internet connection speed. 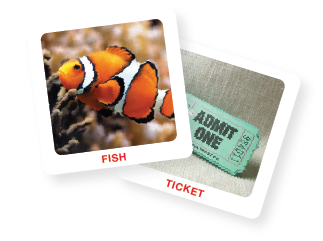 In some cases, no pictures are associated with a specific word but the screen will still show that it is downloading. If you try the suggestions mentioned here and the "Downloading..." still shows, there is a strong chance that there is no image for that word. If you connect to the wi-fi at your place of employment it may have a sensitive, work internet firewall that blocks downloads from our server. For example we have a story called the "No-Lips Club" in the app. The story contains the word "kissing" in it and that story wouldn't download when I tried to do so during beta testing. I think it was because the word "kissing" was blocked by our school's firewall. You could also try and connect to the internet with a less sensitive firewall (i.e. your home internet connection) and return to the section that you had trouble downloading content from. If you try this and it still doesn't work, please contact us using the form below. How do I save the audio for playback on the iPad? Anytime you open a specific section within the app it automatically saves the audio for that section onto your device. Then you will be able to use it anytime whether you are connected to the internet or not. I created a profile and selected to use it. During a session my client recorded words from a Articulation list but I am unable to play it back. What can I do? If your mic is disabled for the app, then the recordings won't work at all. 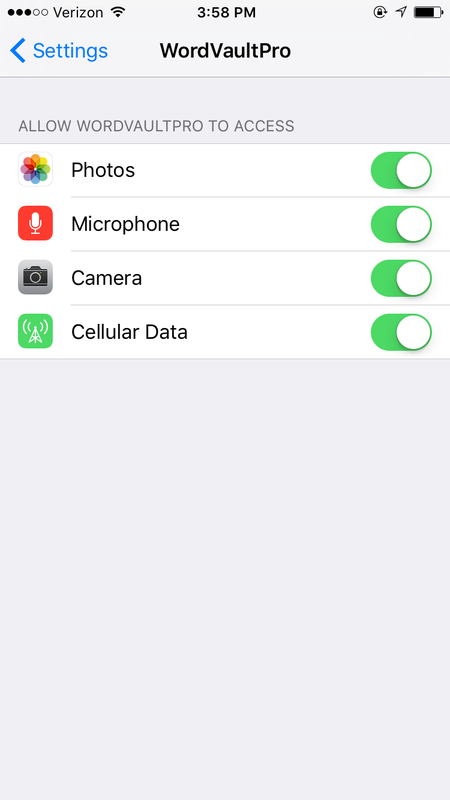 To check this tap the Settings icon from your home screen, scroll down and tap on WordVault, then tap the button to enable the microphone if it shows that it is turned off. To access recordings tap on “Menu”, tap “Profiles”, tap the profile icon (next to the pencil icon) on any profile, and then tap the red microphone icon. The initial, medial and final /er/ words are all mixed together including 1,2,3 syllable words on the initial er word list. How can I target one position and a certain number of syllables if they are all mixed together? I'm wondering if this is a glitch? It is not a glitch, we made it that way because there weren't enough Vocalic /R/ words to divide out into syllable level. Had we done so, each syllable level would have only had a few words in it and we thought that would ruin the user experience. In articulation, when I select one syllable words, all the pictures are there, two, three, and more syllables. Please tell me how to fix this. There is a set group of pictures for each sound in each position that are not divided into syllable level. Doing so would have been a near impossible task and would have taken up tons of (if not all) space on our customers device. If you want multi-syllabic words broken down by syllable, you can find those words in the Phonology vault under Multi-syllabic Words section. There the words are all broken down by syllable and have pictures if you have PRO features. I purchased the Language program, where are the pictures? 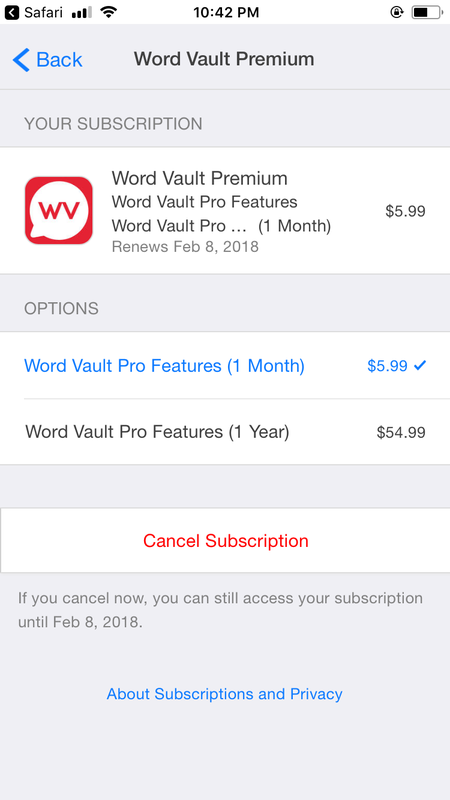 When you upgrade, you get access to all Pro features for the sound or Vault you paid for (see the section "What do I Get with Word Vault Pro" above). To see what the features look like, watch the Navigation and Views Tutorial video above. It shows you how to access and use all Pro features. Are there pictures for the minimal pairs? Unfortunately, no. 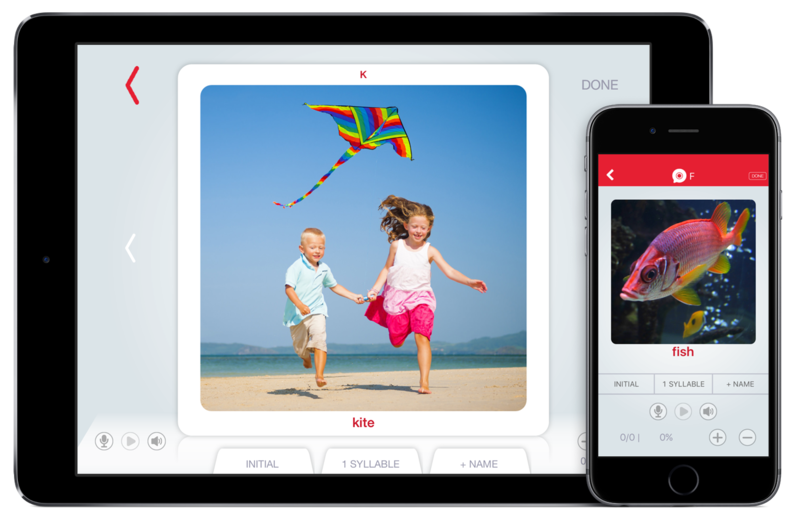 We never would have been able to finish the app had we put a picture to all 3800 minimal pairs. Additionally, there were many words that would have been difficult to find good pictures for (or at all) so we decided not to put pictures in this section. I purchased the Social, Language, and S programs, but not sure what this extra cost gave me. I also don't see where they are in the app when I open it on my iPad? If you have a question that is not answered above, a feature you would like to see implemented into the app, or an edit that needs to be fixed. Please let us know using one of the forms below. Tell us what is happening. Explain what needs to be edited.